Chicago is one of the biggest-selling bands of all time. Starting out as “The Big Thing” in 1967, the group changed their name to “Chicago Transit Authority” for their debut then rebranded again as simply “Chicago” in 1970. One of the philosophies the group relied on during their ride through fame was that Chicago was a democracy. There were no leaders; everything was equal. They had three different lead singers, all members were songwriters, and royalties were divided evenly. But on Jan. 23, 1978, during a rare break and just hours before starting work on his first solo album, guitarist Terry Kath died of a self-inflicted gunshot wound. The band was never the same again. Kath’s demise was subject to years of speculation, but one thing was clear: if there had been an unofficial leader, now he was gone. The hole Kath’s loss created has been patched many times throughout the band’s subsequent career but never filled. Here is what made his contributions so vital. One night after a club owner yelled at the band to play something “soft” so that he and his date could dance, Kath lost it and tore into a Mothers of Invention tune. The irate owner fired the band and they lost their paying gig playing covers. As the story goes, that night Terry convinced his bandmates that in order to be really successful, they should write their own songs and control the set list. As a result, all of the band members began writing songs, including incoming singer-bassist Peter Cetera. The newly conceived collective ended up having so much good material that their first three studio albums were all double LPs. We have Kath to thank for that. It was no secret that Kath enjoyed Jimi Hendrix’s work. Less well known is that Jimi Hendrix was a fan of Kath’s, too. After hearing Chicago play at the Whisky a Go Go in LA, Hendrix said, “That’s the best guitar player I’ve heard. He’s better than me.” Indeed Hendrix loved him so much, he had the band open up for him on tour before they’d even secured a record deal. Although Kath shreds on almost everything he plays, his best work may be on “25 or 6 to 4” (1970). Listen to his solo as he furiously yet melodically runs up and down the fretboard while still staying in rhythm and driving the band. …or prom or wedding or bar mitzvah. And he did it with another section of Pankow’s “Ballet” suite, the Bach-inspired “Colour My World.” Simple, unintimidating, and easy to dance to, this is the perfect song for approaching that girl who you’ve been staring at all year. And when she accepts, you lock hands — right arms out, left hands on hips — then both rock back and forth as the notes ascend then descend. And something amazing awaits: Kath’s voice will come in with “As time goes on, I realize just what you mean to me…” and she’ll step in closer, relax her arms, and put her head on your shoulder. Yes, in 1971, “Colour My World” was the perfect song to fill the space between two awkward teens. So why is Kath not more well known as a composer, singer, and guitarist? Well, critics such as Robert Christgau and magazines such as Rolling Stone seemed to think any rock band with horns was too square to be considered seriously. We disagree. Just turn on “25 or 6 to 4” right now. The fact of the matter is that between 1969 to 1977, Chicago cooked. And Kath was the head chef. I really liked Chicago and remember seeing them perform at Auburn University, in the 70’s. At the end of the concert my friend was on stage with the band shaking Terry Kath’s hand. There is a cover band of Russian musicians who do a very good cover of Chicago tunes, Leonid and Friends. I was there too. They opened the concert with “Listen”. Terry starts the song with a G note holding it with feedback. I’ll never forget that concert. It was the first of many that I went to until Terry passed. I did follow them in the late 80’s when they played Starwood in Nashville. Still a great band but different without Terry. Terry had a reputation of being friendly and outgoing and loved to connect with fans. Those early Chicago shows must have been something else. They were very powerful on stage. And thanks for the tip about Leonid & Friends. I’ll have to check that out. Asheville is home to one of my other favourite guitarists / singers / songwriters. I wonder what Warren Haynes thinks of Terry Kath. Any thoughts? I would love to think that if things were different, Terry would have been a part of Warren’s annual Hometown Christmas Jams. If I ever get a chance to meet Warren, I’ll ask him. Chicago is the reason even today that every high school band has a jazz band/group. Every band leader wants their jazz band to sound like Chicago. Terry Kath was one of the most melodic guitarists ever. He WAS Chicago. Great band, but never the same without him. Terry was a pure musical genius…..as has been said, he is the only player in history that could sing and play rhythm and lead, all at the same time! Check out their Tanglewood show on youtube….mindblowing. Miss you Terry. Hope to see you jamming again someday in the heaven realm….when it is our turn. Tanglewood is a must see!!! I am a musician from back in that era of the late 60s early 70s and I had a 12 piece group with three horns and for female back up singers. We used to follow the group being booked in the same clubs right after they left. The comment or note I’d like to make is, when I noticed that your article stated that the band’s previous name was “The Big Thing”, I was surprised that you didn’t mention that it was also, at one point called, “The Exceptions”. Not a big thing but I thought it was worth mentioning. I am very pleased That through your article, Terry had received his proper true tribute. Thank you. Though Chicago was commercially successful, Terry Kath made a huge contribution to the band and truly a missing piece of CHICAGO!!!!???? The day after Hendrix died, I bought Chicago’s 2nd album…I sensed some sort of connection between the two groups, especially with Terry Kath on guitar..never knew until years later that they toured together..
Not a serious band because they had horns? Robert C was mistaken. I had stronger words but demurred. Great article Erik!!! Your writing reaches the level of Kath’s talent and shows it in the light it deserves. 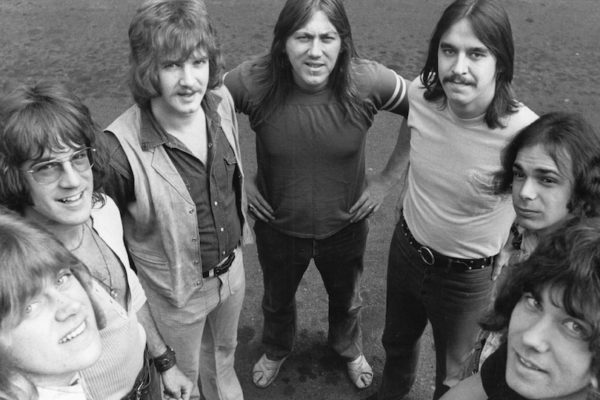 It seemed around 1974, Chicago started really chasing the ‘top 40″ dragon and, at least on record, tried going for a more middle of the road sound featuring less Terry Kath and more Peter Cetera. While I don’t have anything against Cetera, I feet this shift started to really squander Kath’s talent as a guitarist. I am not sure if it was a matter of devotion to his fellow band mates or maybe self doubt, but I never knew why he did not try to go solo earlier in his career? Kath could have easily seen the same success of other guitarists like Eric Clapton, Terry Reid, Robin Trower and Rory Gallagher to name a few. With those chops and that voice, he should have really been leading his own band, kind of a Terry Kath Experience, so to speak.